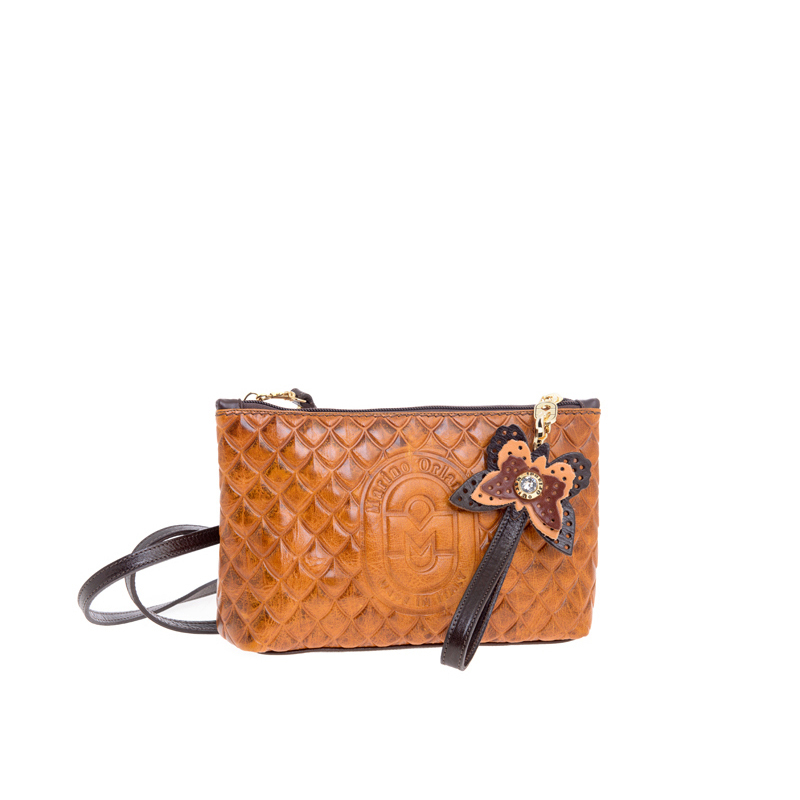 The bag, with rhomboidal motif, is reproduced in real leather in mirror-paint. This creation Made in Italy is very youthful, versatile and suitable for any occasion. It is completed from an accessory of the same material, with real Swarovski.